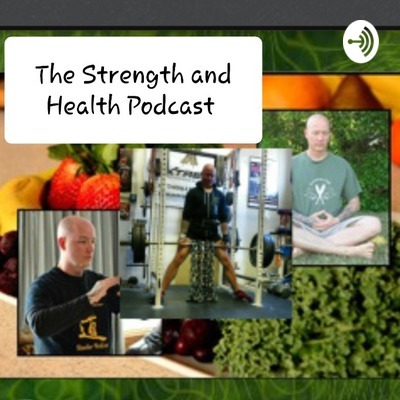 The Strength and Health Podcast with Scott Shetler. Scott Shetler brings his 20+ years of being an entrepreneur in the health, fitness and strength & conditioning industry to this show. 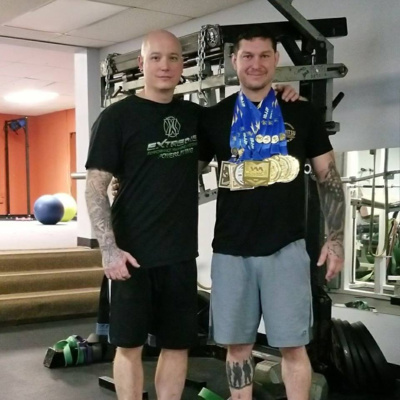 As a plant-based strength enthusiast and student of the Chinese martial arts, Scott covers a wide variety of topics relating to strength and health, through his personal experience and from the experiences of his guests. Episode 15: Balancing Strength Training Volume and Intensity for the Martial Artist. Episode 13: What is the best time of the day for strength training? 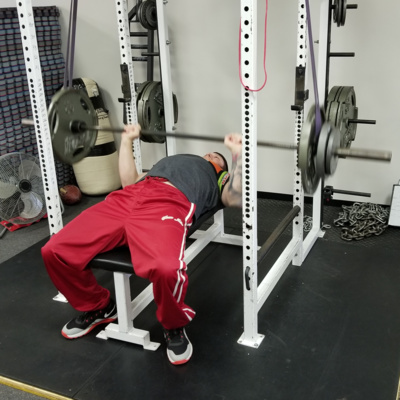 Episode 11: To Bench Or Not To Bench! In this episode I share some of my thoughts on the business side of the fitness industry. I have been in this industry for over 20 years now and still feel like I'm a newbie just getting started. Show notes: -Determining your "why" -#1 greatest lesson I've learned is "No one cares about YOU!" -Various opportunities for work in the industry -What to look for when hiring a personal trainer -What to look for when taking on a client -The basics of business: it's not what you make, it's what you keep -Why some of the most valuable lessons you learn will come during your internship or through volunteering -Education and experience -Marketing -The impact of technology on the fitness industry -Plug for my recent appearance on the RBG Fit Club podcast with Stic of Dead Prez and his wife Afya I hope you enjoyed this episode, and I sincerely hope if you are at the beginning stages of your career you have found some value in this. Please feel free to email me any questions, or suggestions for future episode topics, at scott@eptsgym.com and be sure to follow my at www.eptsgym.com for links to my blog, books, social media, etc. Stay Strong AND Healthy! Episode 9: The Nutrition One I've Been Trying To Avoid! Episode 8: Should Grapplers Train Differently Than Strikers? 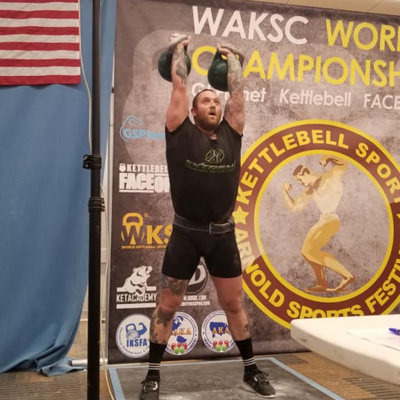 Episode 7: Interview With Vegan Athlete Zackery Bickford. Episode 6: Training Considerations for Combat Athletes. In this episode I discuss the general physical preparation (GPP) of combative athletes. GPP is the development that occurs through the non-specific training methods of sport preparation. Things like cardiovascular conditioning, lifting weights, stretching and mobility exercise are all examples of an athlete's GPP. 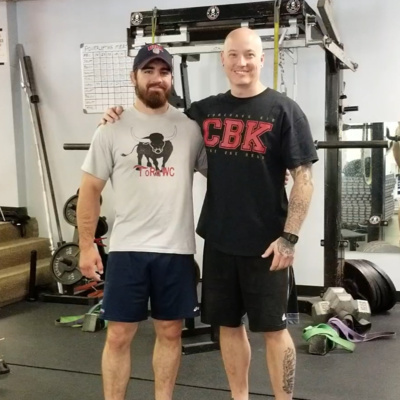 I also provide information for the Kettlebell Conditioning for Combat Athletes workshop I am hosting at my training center in Atlanta on Saturday, 11/3. Show notes: -Misconceptions about training for martial artists -Is strength really a factor for combat athletes? -The physical qualities required for combative athletes -Types of range of motion -Conditioning (i.e. "cardio") -Strength and the different velocities that must be trained -The importance of static strength and muscular endurance -Why properly assessing the athlete is crucial to the success of their training plan -Why we utilize the Conjugate Method in our training at the EPTS Gym -The importance of proper exercise selection -Training optimally to enhance the athlete's sport performance If you have any questions about this show or suggestions for future topics email me at scott@eptsgym.com and if you are interested in learning about my kettlebell training workshop click here: https://www.eptsgym.com/kettlebell-conditioning-for-combat-athletes-workshop.html Stay Strong AND Healthy! Episode 5: Increase Strength for Improved Endurance. In this episode I discuss the importance of strength and power training for endurance athletes and enthusiasts. Most of the literature I've seen regarding performance enhancement for runners, cyclists, swimmers and triathletes has focused on the improvement in VO2 max with little, if any, focus on strength and power training. Show notes: -Why strength training for endurance improvement is ignored -Ultra-runner Scott Jurek's use of heavy partial squats -Strength training for a stronger more resilient athlete -Peter Weyand, PhD's Harvard study on strength training for improved running speed in sprinters -Leena Paavolainen's study on faster running times in 5k runners who reduced running training by 32% and added strength training -Barry Ross' book, "Underground Secrets to Faster Running" -Barry Ross' concept of Mass Specific Force (MSF) -Recommendations on exercises and training variables for an endurance athlete If you have any questions about this episode, or suggestions for future show topics, please email me at scott@eptsgym.com and be sure to follow me online at www.eptsgym.com and www.scottshetler.com. Stay Strong AND Healthy! Episode 4: All About Conditioning. In this episode I discuss conditioning, what it is, exercises, training recommendations, ways to track and monitor, and my own personal experience with adopting a conditioning program. Show notes: -Energy systems descriptions -Why the aerobic energy system is often overlooked -Heart Rate Variability (HRV) -Concerns in conditioning programs for athletes and health & fitness enthusiasts -Conditioning exercise options -Ways to track and monitor your progress -My results from implementing a conditioning plan as part of my training program If you have any questions about this episode, suggestions for future topics, or just general feedback, please contact me at scott@eptsgym.com. Follow me online at www.eptsgym.com or www.scottshetler.com. Stay Strong AND Healthy! Episode 2: All About Strength. Episode 1: Why Strength and Health? Welcome to the first episode of The Strength & Health Podcast! 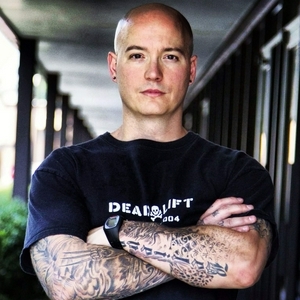 In this episode Scott discusses: -Why he started this podcast -Topics he plans to cover in future episodes -What the idea of strength and health means to him -Inspiration from the Shaolin Temple -His personal story of adopting a healthier lifestyle and fitness practice -Correction -- in the show I referred to Hackenschmidt's book at "The Way to Live in Health and Physical Education" -- the correct title is "The Way to Live in Health and Physical Fitness" If you have suggestions for future show topics or general feedback, please email me at: scott@eptsgym.com and be sure to visit my websites at www.eptsgym.com and www.scottshetler.com to check out my blog, services, and links to connect with me on social media. Stay Strong AND Healthy!